Our kitchen is a rather small galley design, and it has one built-in pantry cupboard. 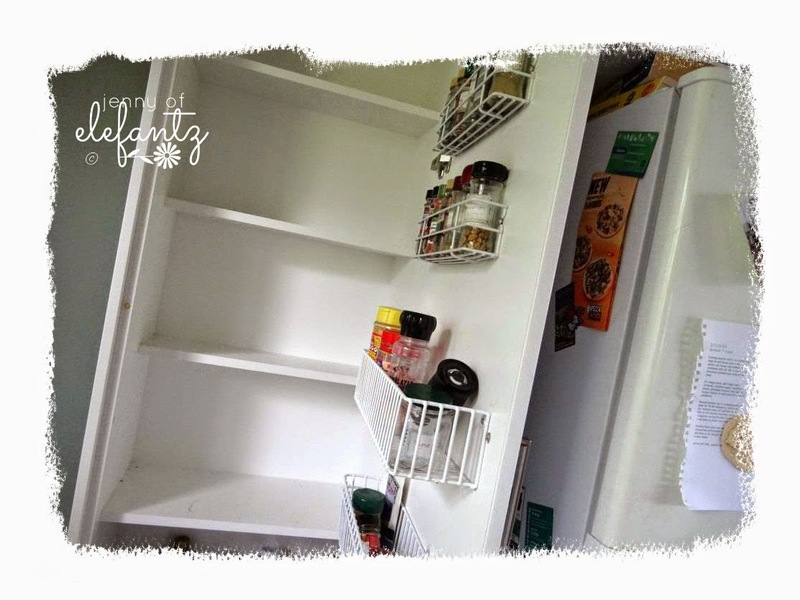 The cupboard is just 18 inches wide with shelving of narrow depth, so a while ago we bought a separate free standing linen cupboard which serves as an extension of that pantry, but also stores plastics and kitchen appliances. ...before laying some paper over them. I took measurements for the various shelves, then cut and pasted the papers together to fit. I chose beachy scenes and flowers as Mr E and I grew up by the beach in Newcastle, NSW. These happy little scenes gave my 'home-sick' soul a lovely hug! It's amazing how something so simple can lift your domestic heart isn't it? When I surveyed my work afterwards I felt something else was needed. 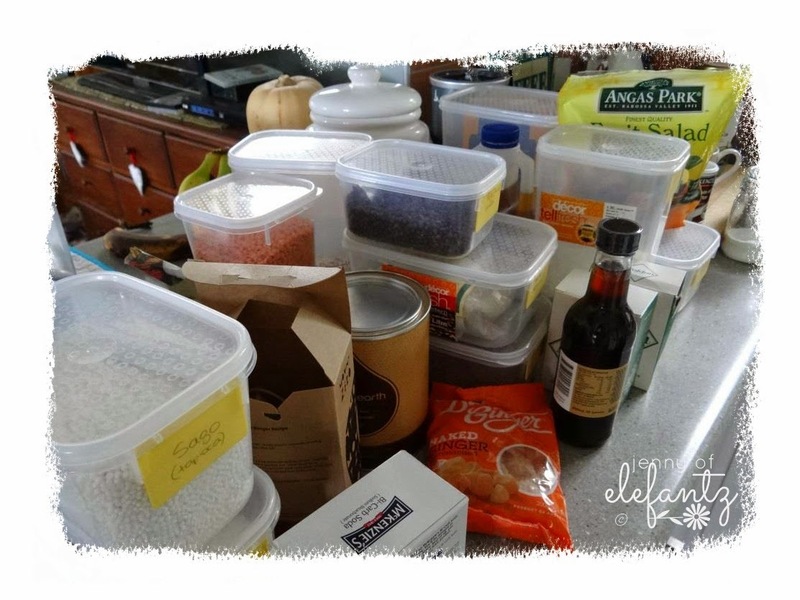 A few things that will continue to flow through this wonderful Year of Gentle Domesticity is 'making do' with what's on hand as much as possible, and re-acquainting myself with every nook and cranny in my home. It's also about looking for ways to add life and colour, and true satisfaction in the work of my hands. 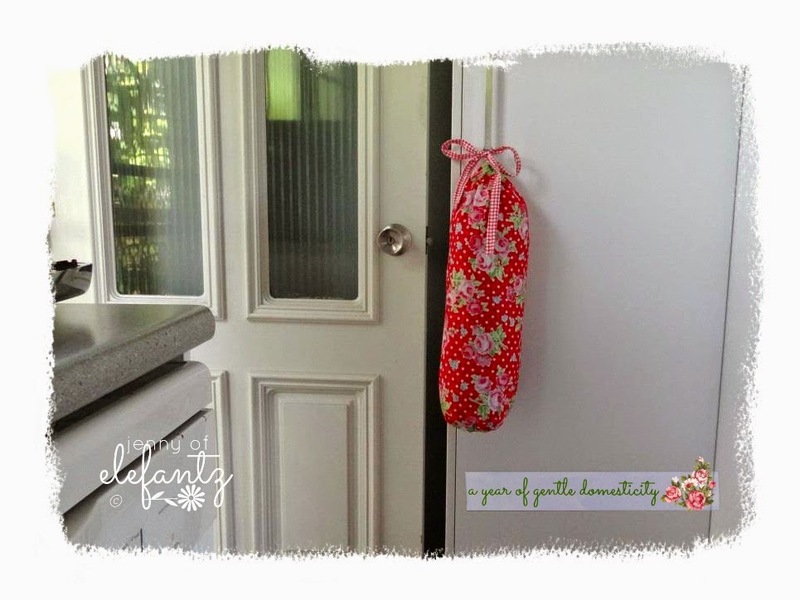 On Wednesday I'll share a tutorial for making one of those dispenser bags yourself! Believe me, its so simple. The shelves look great, Jenny and I would love the tutorial for making the bag bag, mine is so old and tatty, I really, really, really need to make a new one. 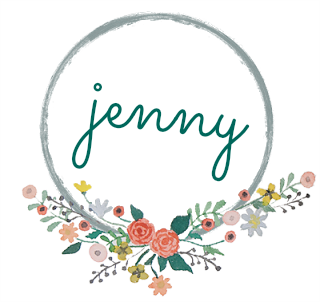 Jenny, the idea of using scrapbooking paper is fabulous! 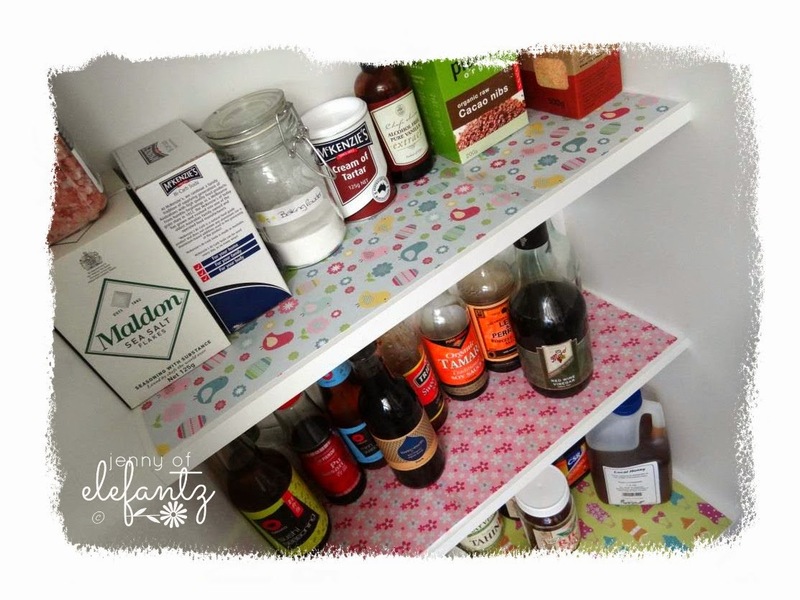 You've just provided the perfect solution to me, for some shelves in my new (to me) fabric cupboard that need covering before I store my quilting fabric on them. Acid free and pretty too! Very pretty! I love your new look and theme for this year. I want to thank you for all of your free patterns as I am in a season of having to make due with what I already own. You have been very encouraging to me at time I really needed it. Looks great Jenny - fresh and clean and inviting. Looking forward to the tutorial. 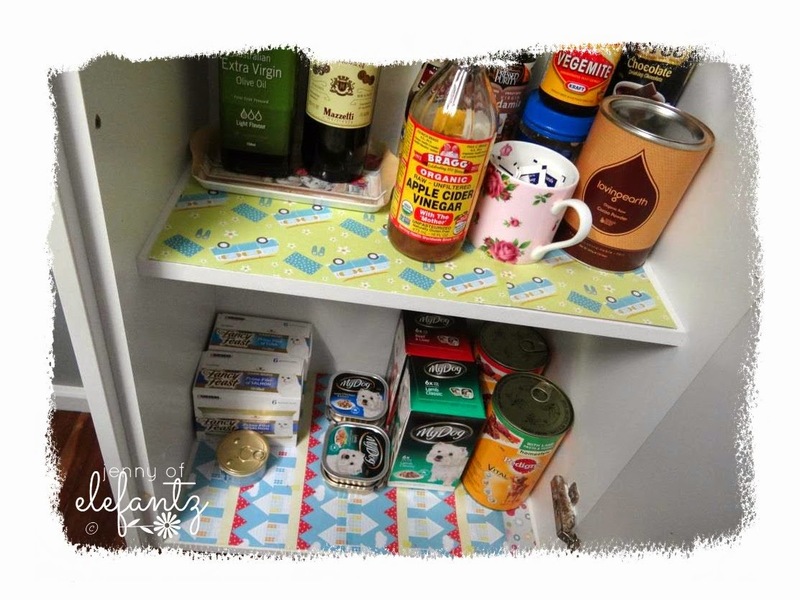 Your pantry looks very pretty now with it's lovely liners, Jenny. What a great idea to use scrapbook paper. I need to wipe out my cupboards too. I use a foam type of shelf liner. I really think that's what saved my kitchen last Sept. during the earthquake. Oh, your bag dispenser is so cheery and cute. Plastic bags have been banned in this area. I completely agree with making do with what's on hand. That is what we have been trying to do as well. What a wonderful idea, and very bright and cheerful! 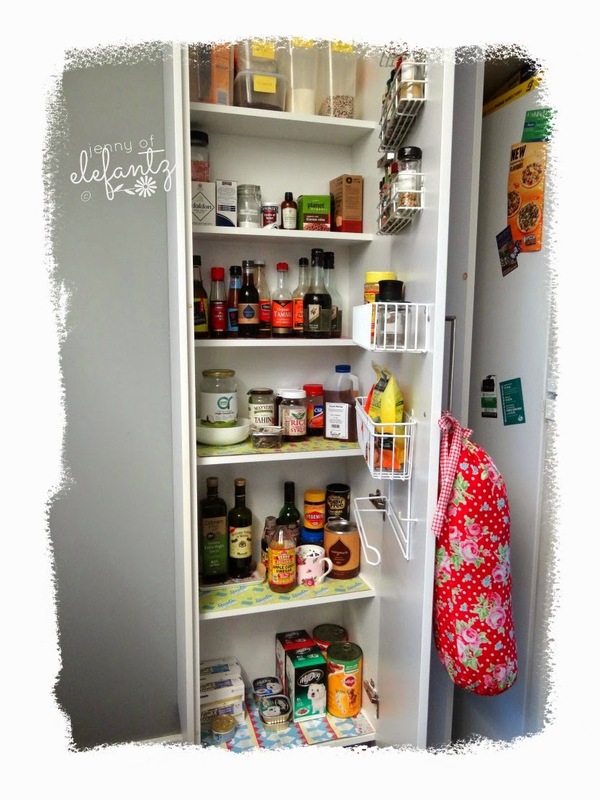 I love your linen closet pantry. 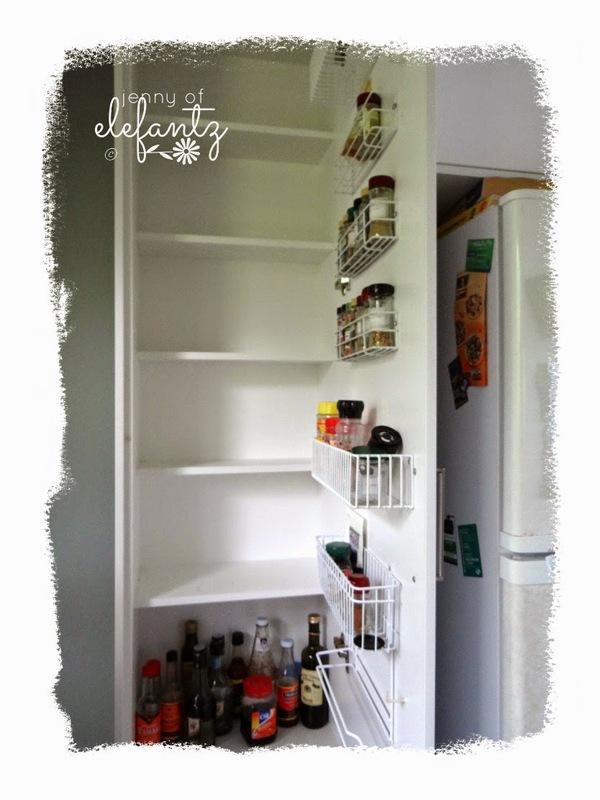 Love your new look pantry. I was going to make one of those bag dispensers years ago and bought the fabric for it. Guess what? Still not done! So, you have re inspired me now. Thankyou. Hugs. Oh sweetheart if I ever get my little cottage, you're going to come and "Jennify" it for me - such a delightful year you've started! 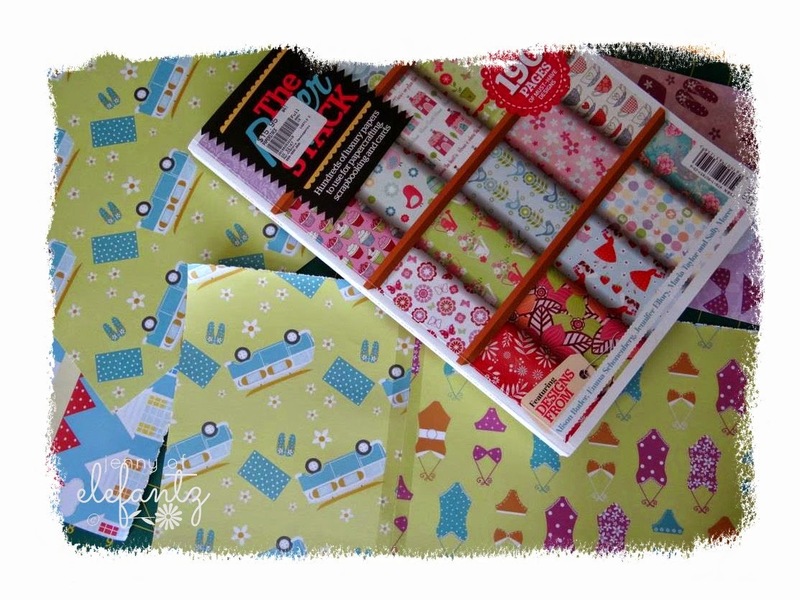 The shelves look so happy and cheery in their new scrapbooking colours! Love it! And the bag holder just finishes it off! I am truly enjoying your "year of domesticity." I recently finished a Master's degree and I realize that my house has truly been on the back burner. It is time to spend some quality time reacquainting myself with my wonderful home. I have ordered the book and have started my great sewing room clean and purge project. Thank you for your inspiration! Keep blogging - I am reading! 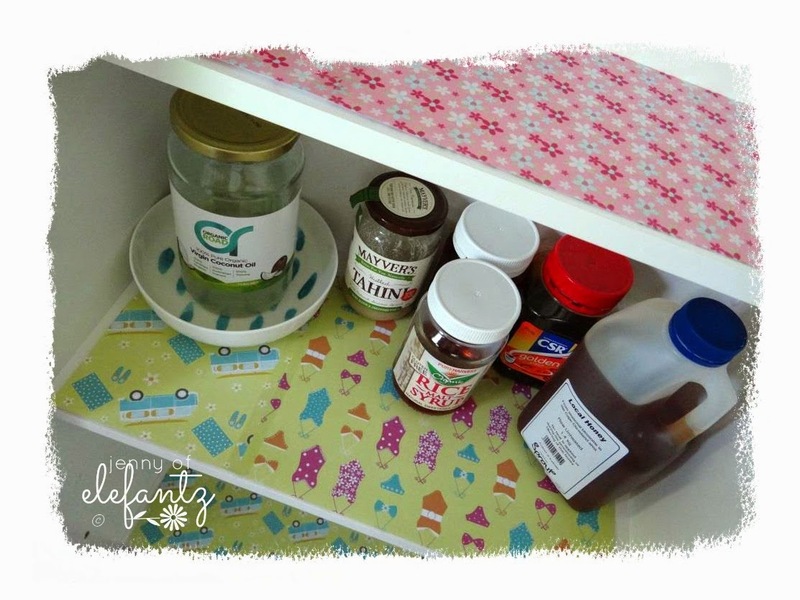 I've been thinking of putting paper down on our cupboards too. Looking at the before and after pictures of yours has me convinced. When we bought this house 12 years ago it had the ugliest contact paper stuck on all of them and in all of the drawers. It took me forever to scrape it all off. But bare is bare. Yours look so cheerful. Like you I am looking at a money problem and no one in this family has ever done scrapbooking. I'm going to have to put on my thinking cap for this one. what a marvelous job...Love the splash of color on the shelves from the papers.And your bag dispenser is perfect...Love all the red. I need to make me a bag like that. I have been saying for a long time I would But to date I have not yet. We need a bag for our bags! I can hardly wait to see how its done. thank you! God bless! Terri Sue, I have often used wallpaper for my shelf paper. I usually can find a stray roll at a thrift store or just have some on hand. It works great too.